Christianity does not have a dogmatic cosmology. Theology, soteriology, teachings about the soul, and moral are all clearly described. Dogmatic teaching about the structure of the historical process is also well-defined. But there is no clear codification of physics, matter, botany, and biology. We can propose a conditional structure with cosmology as basis and theology as superstructure. However, we do not have to interpret these two concepts in the Marxist way, which posits that the base is more important. Indeed, we might argue that the reverse is true, but what is now more important is to impartially conceive this structure. This allows modern Christians to combine ‘faith’ with ‘science’. While this is difficult to do in the area of history, biblical chronology, or teachings about the soul, it appears to be easy when physics, chemistry, or zoology are concerned. However, the key word here is ‘appears’. We will formulate our question: is Christianity compatible with modern science? - Christians believe, that ‘faith’ and ‘science’ do not contradict each other and that Christianity is a moral-ethic or even soteriological (to fundamentalists) superstructure on top of physical ‘objective’ knowledge about the world (some hope, that with the development of science Christianity will come even closer to religion, “I believe in the one Big Bang” etc.). The third position, which would posit criticism of science from the position of Christianity, is either absent or exists in an embryonic stage (the works of father Pavel Florensky  are interesting in this context). However, it is this third position that interests us in this lecture. There is no dogmatic cosmology in the Bible or the Gospels. Nothing is said about atoms, elements, about evolution, species of animals etc. However, Christianity must operate with some kind of ideas about the world and its essence by virtue of it being a universal worldview. Through history and other circumstances, these ideas were to be those of the Greek culture of the Hellenic era (the first few centuries after a.d.). It is on this Greek science that Christianity based itself. But was everything adopted? And what cosmologies were taken as being fundamental? This is most important. · An atomist approach, which was materialistic and founded on a belief in evolution and progress from the bottom up (self-evolution). It was represented by Democritus, Epicurus, Lucretius etc. · A Platonic (and Neoplatonic) approach, according to which the world has been created by the Demiurge in accordance with an eternal plan that is manifested in eternal ideas. Christianity initially rejected the first and accepted the other two in combination and in part. This is an extremely important moment for our examination of this subject. What is more, during the integration of Aristotelianism and Platonism quite significant corrections were made: the removal of polytheistic components (of nature deities) and the eternity of the world. The figure of the transcendent Demiurge was not present in these models. Its introduction significantly corrected the whole picture. The main idea of Aristotelianism was the divine order, which orientated itself on the idea that every object has its proper place. All objects try to occupy that place but disturb each other, which is the nature of movement. Among different reasons for events, the most important is the causa finalis, i.e. : in whose name? Why? Where to? This is related to all objects: their goal (natural place) is also the reason of their existence. Furthermore, we find teachings about God as the unmoved mover. The of the real as consisting of form and matter. Logic as the fundamental law of thought, based on three sublaws: А=А, not-А, either А or not А. This predetermines the fully determined model of the cosmos. Platonism proposed another structure. God is located in the world but beyond its borders, to be more precise on the on the highest boundary of the world, where the Unmanifest (apophatic) borders on manifestation. The world is the process of gradual descent, cooling, coalescence, and manifestation of ideas and eidoses (the monad). The lowest boundary is matter, which is an expression of pure non-existence (or evil, which has no existence and is insignificant). A hierarchy of intermediate beings exists between bodies and God: of souls, heroes, daimonic entities, angels, archangels, and “gods”. The world is a hierarchical pyramid, from which every corporeal entity can ascend through its spirit-essence further up to the hierarchy of light and directly to God. The soul of man is an idea that has descended to a body, after which it returns to its source star. Christianity’s corrections to Aristotelianism coalesced into the following: the world is not eternal (in contrast to Aristotle) because the unmoved mover is not within, but without. Therefore, the world has a beginning and an end. But natural places, logic, form, and matter in objects remains, but not as natural attributes of the cosmos, but as a trace of the Creator. God created the world from the very beginning in an ordered and planned fashion, but, in contrast to Aristotle, the world can lose this order and slip into the abyss, as it is not independent and cannot stand on its own. By itself (without God) it will fall down. This Christian Aristotelianism was developed by saint John Damascene in Orthodoxy and Thomas Aquinas in Catholic scholasticism. Corrections to Platonism are: God is not located on the edge of the world, but beyond the boundary of the world that separates it from the act of creation (Let there Be! ), a metaphysical interpretation of the latter that was unknown and foreign to Platonism itself. Eternity is split in two: the world and human souls, as well as creatures of the ethereal world (angels) have a beginning, but (!) no end. In all other respects, the Platonic cosmic hierarchy is integrated. The place of spirits and gods is taken by angels. It is important to note, that angels are constructed and thus occupy an intermediate place between God and the natural world, i.e. they fulfil a physical function by uniting the uncreated with the corporeal. Angels are a fundamentally important element of the physical image of the world to Christians. It is angels who make the earth shake, send pestilences and trials, bring down fire (on Sodom and Gomorrah) etc. After a third of the angels fell, they (demons) fell down to earth and under the earth and… are responsible for the lowest and most corporeal forms of life. Angels save the physical structure of the world, demons despoil it. Angels and demons jointly play a fundamental role in the causal structure of the cosmos. Therefore, the world is not neutral: an Angel can be hidden behind anything, but more often than not it is a demon. This is where the imperative of battle and victory against the world (those parts of the cosmos where the influence of demons is strong) comes from. All of this entirely persists in Orthodox asceticism, but one might get the impression that this is only of relevance to the soul. In early Christianity (up to the New Era, about which we will speak later) the cosmos was also interpreted in the same way: it was split between angels and demons and as the end of times draws nearer (in the Christian interpretation of history) the nature of the world itself changes: demonic influence grows. In the late middle ages (the 16th century) and the New Era (the 17th century), modern science begins to appear. This means that the image of the world (and of the cosmos, nature, and physics) is changing. This change has clearly visible features. Aristotelianism (which was dominant in scholasticism) is the subject of a deconstruction, but there is no return to pure Platonism. Something new appears, but it is neither Aristotelianism nor Platonism. What is it? We return to the past: it is a model that had been rejected by Christianity, namely that of pre-Socratic atomism, Epicureanism, and Lucretian evolutionism. It is this that becomes the fundamental basis of modern science. The world is not created from the top (Platonism) nor is it divine by itself (Aristotelianism): matter develops and creates objects consisting of a game of atoms by itself. Atoms randomly form systems. Therefore, objects have no natural place and movement has no causa finalis, but only a causa causalis of the reason (why?) but not of the goal (to what end?) of movement. Galileo Galilei was one of the first to expound this programme of the New Era, which was later picked up by Francis Bacon, Descartes, Newton, Spinoza etc. In the first stages of this new paradigm, God and Christianity are not rejected. On the contrary, the rejection of Platonism and Aristotelianism is seen as a cleansing of pagan traces from Christianity and the sacrality of the cosmos. God becomes the ‘god’ of the Deists: the reason (causa) for the organisation of the world, but not its goal. Step by step the existence of angels and demons (who turn from cosmological agents into psychological metaphors) is accomplished. The world turns into a mechanism and is ‘de-enchanted’. Protestantism and its rationalisation are even more beneficial to the intellectual climate by rejecting miracles, mysteries, icons, the Eucharist, and the church itself. But this is the most interesting. Having demonstrated a ‘Hellenistic’ cosmos, the New Era started on the church and eventually on God himself. God became unnecessary to the new atomist cosmology and to the new rationalist science, and the church turned into a redundant institute thrown to the wayside, either twisted (in the US and Europe) or nearly destroyed (in the Soviet Union). 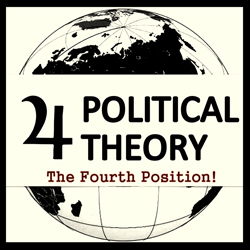 We can, of course, consider this to be a pure coincidence: the rejection of Aristotelianism (and Platonism) is one thing and the transition to atomism and mechanism (the objective development of scientific knowledge) is one thing, and de-Christianisation is something else entirely (being the result of subjective political and social processes). But these two events are so tightly interrelated conceptually, theoretically, and historically that pure coincidence is too unlikely. We are dealing with an interwoven phenomenon: a change of foundation (cosmology, physics) is accompanied by a change of superstructure. From this point we can extract a fundamental conclusion: the significance of pre-modern cosmology (i.e. the Christian interpretation of the cosmos, matter, and physics that was dominant from its beginning to the end of the Renaissance, or 16 centuries) was far larger and closely linked to dogmatics (i.e. with the superstructure of theology, soteriology etc.) than is commonly thought. By destroying the Christian cosmos, New Era scientists have destroyed Christianity itself. And with success. Conclusion: science can be Christian (in which case it must work with the Aristotelian-Platonic cosmological model), non-Christian, or anti-Christian. Non-Christian science is the cosmology of Hinduism, Buddhism, Daoism, and other non-Christian cultures. But Western-European science is not just non-Christian: it is anti-Christian, it was created as a project to destroy the Christian understanding of the world’s structures and it’s development vector, which has led to the current technocentric society, can be viewed from theological positions, i.e. from the position of the superstructure, as the triumph of a kind of anti-religion, and, consequently, as the victory of a ‘demonic philosophy’ in the form of modern science. The Christian’s natural question is: what is to be done? How should I act? If one takes the third position on religion and modern science, life will become difficult (perhaps even unbearable). In this case, we must not only distrust the ideology of the modern (definitely non-Christian, often directly anti-Christian) society, but also the world itself, which, if we think about it, is pushed onto so heavily onto us by the entire structure of upbringing, education, study, and culture that we are convinced that it is reality, nature, existence, truth. Once can debate an ideology (although this is difficult, if it is a totalitarian one like all Modern ideologies: communism, fascism, and the most totalitarian one of all, liberalism! ), but to distrust one’s own sensory organs, to see that which ‘isn’t’ behind ‘natural’ phenomena (as was said to us by our parents and teachers), i.e. the cosmological power of angels and demons is a direct road to insanity. I do not know the answer to this question, as it can neither be easy nor understood. I can only express certain assumptions without being confident in neither their effectivity nor their ability to change anything. First, we must give ourselves the task of fundamentally researching the philosophy of Plato and Aristotle. This demands effort, but it is the foundation of Christian thought. Without Plato, the fundamental theological theses of the Cappadocian school, or even the most fundamental teachings about the Trinity, creation, etc., to say nothing of the Aeropagites, asceticism, or hesychasm would have no foundation at all. The fundamentals of Christian theology were developed by the Platonists. And it is Platonic cosmology (with Christian corrections) that was patched into this philosophy. In the Christian context, this corpus is most clearly represented by the Aeropagites, in the West by Scotus Eriugena. Second, we must turn our attention to the fully developed criticism of Modernity by the postmodernists. In general, they do not just try to unmask Modernity, but to transcend it in a more saturated intellectual Satanism by leading materialism and immanentism to their logical limits. But such postmodernist radicality helps us to understand the scientific structure of the New Era. Here we observe the artificial and even falsified character of the evidential basis of the creators of the world’s scientific image. For example, Paul Feierabend shows that Galilei just falsified his experiments, while Bruno Latour shows in excruciating detail what tricks and swindles the creators of the scientific image of the world and the founders of the first laboratories turned to. In general, the postmodernists show very convincingly that the scientific image of the world is an ideological construct, a collective psychological suggestion, and the result of mass hypnosis. And here it is high time to remember the function of devils in Christian cosmology: Modernity is the philosophy of the devil, and knowledge of this fact is no less correct in the area of the ‘physical sciences’ than in religion, theology, or politics. Conclusion: the modern scientific image of the world is part of the plan of the Antichrist and a layer of his consciousness. It is not important as to whether it is his main part or not. What is important, is that it is a part. But there just is no universal and generally clear plan of battle against the Antichrist; it cannot and should not exist. Otherwise, the last eschatological, apocalyptic trial would not be as difficult and as decisive. : Pavel Aleksandrovich Florensky (1882-1937) was an Orthodox priest, theologian, physicist, poet, and martyr who died at the hands of the NKVD. 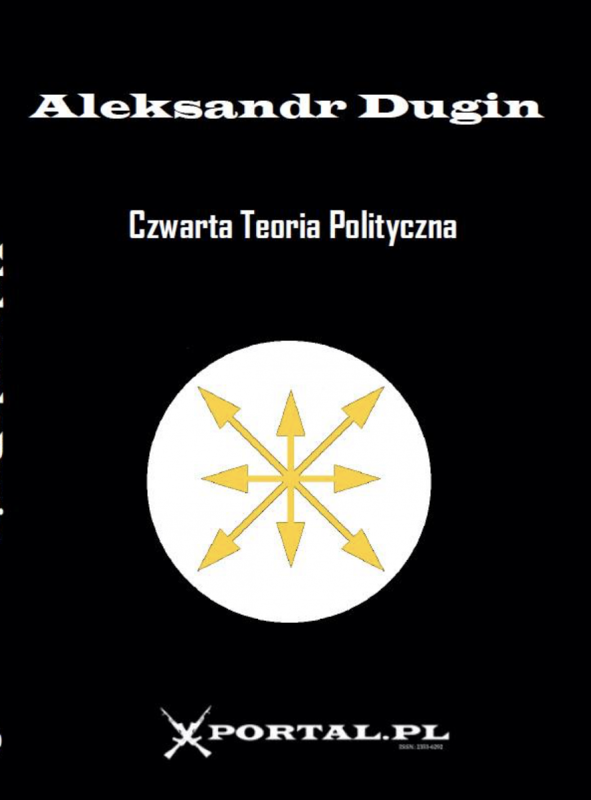 What Dugin is referring to here are Florensky’s works in which he attempts to fuse modern science with Christian conceptions of nature and the universe, which include Оправдание космоса (Justification of the Cosmos) and Мнимости в геометрии (Imaginary Numbers in Geometry). – V.A.V.